What is traffic sign recognition? Do I need it fitted to my car? 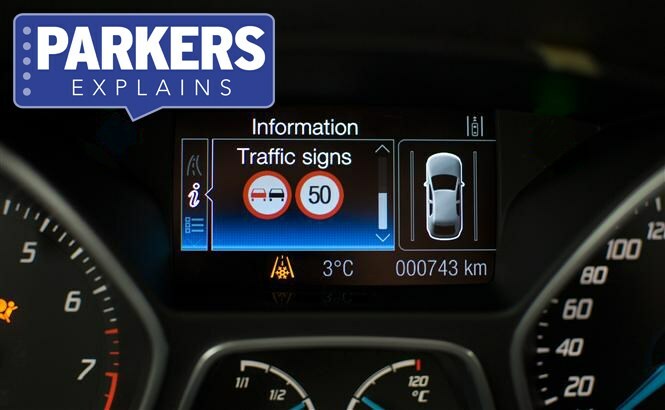 Traffic sign recognition reads upcoming road signs and displays them electronically on a vehicle’s dashboard. The technology uses a front-facing camera to pick up upcoming traffic signs. Once this happens, character recognition software interprets what the sign is displaying and relays it onto the dashboard and/or infotainment display. It will remain there until a change is recognised, such as when the speed limit changes, the new sign will be displayed. Traffic sign recognition isn’t something you will absolutely need. But it’s a useful piece of extra kit. There’s a lot to watch out for when driving on the roads today, so a constant display of the prevailing speed limit could be invaluable if you happen to miss the last speed sign. Take note though, traffic sign recognition isn't foolproof. The technology can sometimes miss signs, especially if they’re obscured. Some systems will also fail to detect changes in the electronic speed signs commonly found on smart motorways. A number of cars now feature the kit, including the Audi A3, Volkswagen Passat and Jaguar XF – the latter coming with it fitted as standard. Some cars, such as the Ford S-Max and Volvo XC90, can even – if the driver wishes – restrict the vehicle’s speed according to the current limit. Traffic sign recognition is Ford’s name for the technology but other manufacturers will often brand it differently. The variations include: Traffic Sign Assist (Mercedes-Benz), Sign Assist (Volkswagen), Road Sign Information (Volvo) and Intelligent Vision (BMW).